I know, I know, predicting a trade already? I honestly believe Emery will try and trade back to gain an additional pick or two given that we only have 5 selections in the upcoming draft.. I could see something similar to the Baltimore/Minnesota trade in the 2012 draft which included pick #29 for picks #35 and #98... Some team gets nervous that a guy they like won't make it out of the 1st round, so they jump the gun and give up an early 4th in doing so. Seems reasonable. It's hard to judge what Emery will do after just giving us one draft to sample his strategies... He seemed to be locked into DE a day or so leading up to the draft. I expect Urlacher to retire following this season, which will create that same Defensive hole at MLB. I see Manti Te'o as the only 1st round MLB in this draft, and he will be a top 10 pick. Instead of going BPA I bet Emery will get locked into this possition like last year, and who he picks is anybodies guess. I'll go with Ogletree. He is a tremendous athlete, elite lateral speed, converted Safety, lengthy defender with rumors of being 6'5"... Sound familiar? All were traits of Urlachers coming out of New Mexico. No, I'm not saying he is the next Urlacher, but I am saying is he has some of the same traits which make a great MLB in this particular defense.. The only questions I have on him right now are how smart is he at reading defenses and becoming a vocal leader? Things Urlacher did among the best in the NFL... But we will find out as the year progresses. I think Lance Briggs will be named Captain of the Defense along with Julius Peppers allowing Ogletree to have less expectations and can work under Briggs' guidance. I can't see Lovie/Emery selecting a DB in the 1st round, and even though it may not seem like a need, it will be in the future when Tillman starts to regress, and TJ struggles with the #1WR IMO.. This would allow Poyer to get eased into the system and not be relied upon right away, like Hardin this year. Emery has showed us so far he likes defenders with instincts and versatility, something that describes Jordan Poyer to a tee. He has a knack for the big play, recording two INT's for a TD in his career at OSU and 4 INT's in his first 4 games to start the 2012 season... 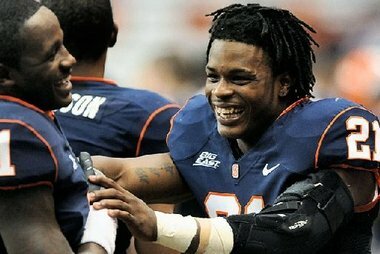 The guy has great potential, reminds me of a bigger Cortland Finnegan. Also adds value on ST's which is crucial for Emery, he and Hardin were the gunners for OSU in 2009/10. Theres great value in the middle rounds of this years draft for value at interior Offensive line. It doesn't seem to be a possition Emery values highly... For whatever reason. Even his past drafts in KC show that he uses 3rd/4th rounders for interior depth.. But he will realize it's time to overhaul the Oline and bring in his own young talent for Tice to groom. I think Gabe makes the mistake and comes out this year as oppossed to him staying in school and becoming a 1st round prospect in 2014. He reminds me of a younger Chance Warmack, in fact, he was the Preseason 2nd-team ALL SEC behind Warmack. Both are 6'4" 320 lbs and play with great flexibility and leverage, the athleticism is obviously very high. 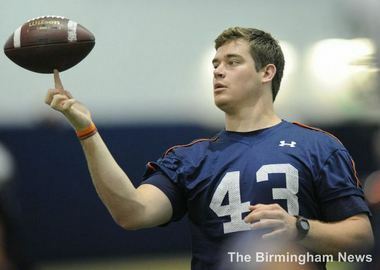 Another Olineman? Houston selected Brandon Brooks and Ben Jones in the 3rd/4th round of the 2012 Draft and they were widely considered to have the BEST Offensive line in football... so what's your point? Garza will likely retire after his contracts up, and Benavides would be the perfect player to sit behind him and learn for a year. Mario comes with great experience and leadership steming from college ball at Louisville where he played in 40 games in his 4 year career at Center. Finished his blocks extremely well, plays with high athleticism for a 300lber. Excels at hitting defenders on the move and getting to the 2nd level. Only concerns I have on him are injury issues, although they are mainly ankle problems, and he has managed to only miss 3 games in his college career... also seems to be fairly limited to the Center possition. For the people who think he won't last this far, as I mentioned above, Ben Jones wasn't expected to last until the 4th round last year and he did. Kyle Adams has seemed lost this season, and Lutz plays a H-Back/TE role at Auburn already and plays much more fundamentally sound, as well as being a better athlete. A great redzone target for Auburn with 14 TD's on 44 receptions. But the thing I've noticed about him is it seems he's not done growing or maturing physically.. I wouldn't be surprised to see him 6'6" 260 in a year or two. Polished route runner that displays above average hands, rarely drops passes. The only real knock people have on him is he hasn't showed he can be an inline blocker effectively at the next level. Some feel he's limited to an H-back role, which is what his role would be here under Tice. Lutz>Kyle Adams. Thomas plays reckless on the field, known for delivering big hits, but sometimes will bite and get beat deep. I hate using this phrase but he's a 'Poor man's Bob Sanders'. Really high intensity and animated about things on the field. Shamarko will probably be one of the fastest DB's at the draft in April, and should run in the 4.3s. I really like his upside and would be interested to watch him develop. Emery has shown he will keep 5 safeties, especially with the frequency of injuries at the position. I have no doubt Thomas could make the 53, and find a home somewhere on this team. ST's value as well. Thanks for taking a look guys, let me know what you think. I'm not yet sold on Ogletree. Definitely has proven he should be handed a day 1 job at MLB. Not sure why we would let both Edwin Williams and Chris Spencer walk. I'd like to see one of those veterans stay. My preference... Like I said, Emery will be locked into this possition but who he picks I don't know. No one expected Shea over Chandler Jones/Whitney Mercilus. It really could be Mosley, Minter, Skov, Ogletree, Emery will like his guy. The only real reason I think Edwin Williams has been around is because of his value at Center... we don't have many other options. Benavides takes his spot. Time to get younger, and I'd take Jackson/Benavides over Spencer/E.Williams every day of the week. Clady signed an extension a few months ago iirc. EDIT: Nevermind, just read they were close but there are still some hangups. Broncos offered 5yr/$50M and he turned it down due to guaranteed money I think. I think either way, Emery will find a LT in other ways then a rookie. I personally have him behind all those guys you mentioned but like you said it's all preference. I think he needs to stay in school for another year. I'd like for us to keep one veteran in case of an injury. Losing 3 veteran O linemen and replacing them with mid round rookies is a bit scary for my liking. And I bet last year you had Jones, Perry, Mercilus, and probably Upshaw ahead of Shea too, didn't you? Like you said, all preference. I agree he is a bit raw right now, but I really like his upside and fit in this particular defense... At this point the line has veteran guys, Garza, Webb, Louis, Carimi will be in his 3rd year, I don't really understand hanging on to a veteran over a rookie who is more talented, just because he's a veteran. not only that but signing Louis and Rachal to extensions should bolster enough veteran leadership to go along with Garza on the inside. Not sure about Jones but the other guys ya. I dont consider Webb a veteran. Louis and Carimi will both have a bit over one season of starting experience under there belt at there respective positions. I would like to keep Spencer as a vet backup for the inside spots. A 3 position guy like that is a big help. Louis will be entering 5th season with the Bears at this time, starting for 2 seasons and starting 4 games in 2010. I'd definitely consider that a veteran, along with Garza whose a captain, Webb, and hopefully a legit FA LT and that line has plenty of veteran leadership. Louis doesn't have a lot of experience playing RG. Right now he's played I think less then 10 games there? I assume you meant Carimi and not Webb? I like my suggestion for improving the offensive line: Bama. I expect Warmack and Barett to go in the first top 20, and I'm not a Fluker fan so if your talking about him, no. If Ogletree checks out at the combine interviews then I would be good with the pick…his physical skill set is very impressive and he has the tools needed to become a special LB but he has to answer the off-field questions…same applies to Poyer…I like the physical skill set but not the off-field past…Jackson would be a solid pick up if he makes it to the 4th…like you I have injury concerns about Benavides but he is talented…the combine physicals will be big for him…I wouldn’t mind taking a TE that late if we can trade down and grab some more picks…in the 6th I doubt Thomas makes it that far…as you said he is a terrific athlete who someone will view as a great development opportunity. Clady + Cutty + B-Marsh = Denver? I doubt either go in the top 20. 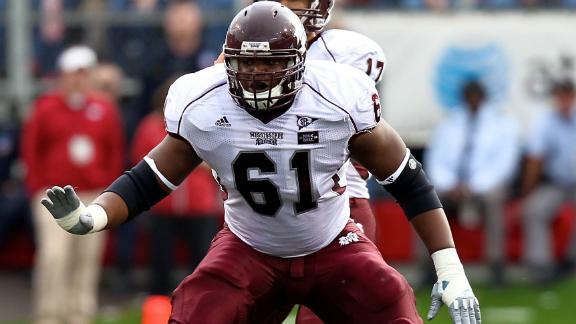 Warmack is awesome, but he is 6'2" 330lbs which are not elite measurables. The Pounceys and Iupati are 6'5". Jones is versatile and smart but he is not physically dominant like other top 20 interior players. I agree both could easily be picked before we pick in the 30s.